CEO Gary M. Crosby surprised analysts with a plan for $200-$250 million in technology investments. A year ago last week, First Niagara Financial Group’s board removed John R. Koelmel as its president and chief executive officer. While that tumultuous period is over, the Buffalo-based bank faces a new test, convincing investors it can get more out of the operations First Niagara gobbled up during Koelmel’s tenure. Its stock price has inched up during the past year, but trails the S&P 500. Spearheading the bank’s push is Gary M. Crosby, who served as interim president and CEO before being getting the job on a permanent basis in December. Crosby’s low-key style contrasts sharply with Koelmel’s outgoing manner, a shift that seems to reflect the bank’s mantra of striving to improve results, rather than making more acquisitions. Crosby – who was added to the board of directors last year – also tamped down any notion that the bank was positioning itself as a takeover target, saying that First Niagara is committed to improving independently, rather than through being acquired by another bank. First Niagara’s fortunes have come to mean a lot to the Western New York economy. Its headquarters is a driving force in the rise of the Larkinville district. The bank employs about 6,000 people in four states, including about 2,200 in Western New York. It provides the kind of financial services jobs that business recruiters want to generate more of, and is generous with donations. Remaining independent ensures First Niagara’s headquarters, jobs and decision-making remain local – vital to a region that has lost too many of those operations in the past. First Niagara emerged on the national scene several years ago as an aggressive deal maker. A series of acquisitions propelled what used to be called Lockport Savings Bank to a top 25 U.S. bank as measured by market capitalization and assets. Its growth has given Buffalo another major hometown bank – along with M&T Bank Corp. – to call its own. For much of the past year, the question hanging over the bank was, who will replace Koelmel on a permanent basis? After a nine-month national search, the board gave its answer: Crosby. “I think initially people were looking for somebody from outside the organization to come in and take the reins, somebody who could maybe bring a different perspective or a fresh perspective to the bank, somebody who hadn’t worked there previously,” said Damon DelMonte, a bank analyst at Keefe Bruyette & Woods. But the perception may have shifted since then, he said. “I think people realize Gary has a strong background in the geography where First Niagara is based, has had success in his past endeavors, and I think people believe he could be ultimately be the one to positively move the bank forward,” DelMonte said. Since Crosby was named CEO, the bank has trimmed some jobs, closed some branches and emphasized the role of “universal bankers,” versatile branch employees capable of handling more complex transactions. But the most jarring news for the stock market came during a Jan. 24 conference call with analysts about the bank’s fourth-quarter results. Profits increased 27 percent from a year ago, and Crosby laid out his long-term vision for the bank. He said the bank would spend $200 million to $250 million over three to four years on technology and other initiatives designed to maximize profitability. The high cost and long time line surprised investors, and the bank’s share price dropped 12 percent in one day. “It’s a sizable, sizable investment, and I think that investors were certainly taken aback than an investment of that size was necessary at First Niagara,” said Bob Ramsey, a bank analyst at FBR & Co.
Ramsey said First Niagara is “not entirely alone” among financial services firms when it comes to surprising Wall Street with the high cost of things like systems upgrades, he said. “I suspect that the industry has underinvested for several years as they dealt with sort of more timely problems,” Ramsey said. And nowadays, he said, banks face much greater tech-related requirements, such as cybersecurity, complying with anti-money laundering and Bank Secrecy Act regulations, and have extensive requirements for reporting data. DelMonte said while the technology upgrades sound good to customers who rely on the bank’s systems for their transactions, investors were picturing a drag on earnings. 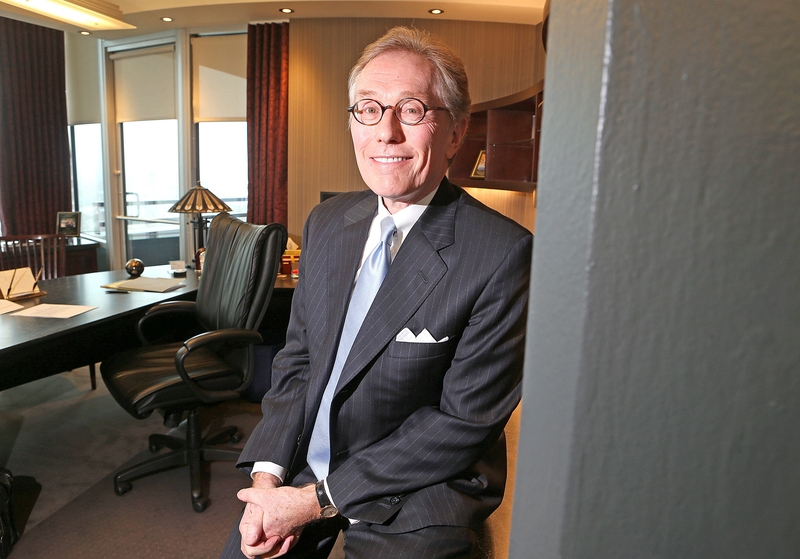 The planned big investment prompted an analyst on the conference call to ask Crosby why First Niagara shareholders should wait so long to build out the infrastructure, when another, better-equipped bank could acquire First Niagara and add it to its platform. Crosby turned that idea aside, and reiterated his point in follow-up questions from The Buffalo News. Is First Niagara a target for takeover? Analysts DelMonte and Ramsey said they do not think so. What’s more, Ramsey said, there are just not that many potential buyers capable of making such a deal. Financial industry watchers have been struck by the lack of large-scale banking mergers over the past couple of years. Some point to the regulatory wringer M&T Bank has been put through amid its plan to acquire New Jersey-based Hudson City Bancorp. The $3.7 billion deal was announced in 2012, but the two banks have twice delayed a key deadline as M&T works to satisfy the Federal Reserve’s requirements. Many mergers are driven by a bank’s specific needs, such as wishing to partner with a bank that has a stronger balance sheet, or teaming up with a larger bank to achieve better economies of scale, said Cristian Tiu, associate professor in the finance and managerial economics department at the University at Buffalo’s School of Management. Other banks may be focused on digesting what they have acquired and are not inclined to take on more, he said. As First Niagara aims to win over investors, it stock price is an ongoing source of attention. A year ago, on the day Koelmel was removed, its shares closed at $8.44. On Thursday, it was trading at about $9.38 per share, an improvement of about 11 percent. As a comparison, over the same span M&T’s stock rose from $102.85 to $119.11 per share, a gain of about 16 percent. First Niagara’s stock was climbing late last year. In October 2013, shares were up to $11.26. But they fell to as low as $8.22 in early February, in the days after the conference call that disclosed the technology upgrade. As of Thursday, First Niagara’s shares had not exceeded $10 since Jan. 23. To put the current stock price in a longer perspective, First Niagara’s shares were trading above $15 per share back in February 2011, a level they have not seen since. The shares fell to as low as $7.20 per share in July 2012. While investors are focused on First Niagara’s results and earnings outlook, the region’s business community extols the bank’s stature and local impact. Tom Kucharski, CEO of Buffalo Niagara Enterprise, which recruits companies, said First Niagara has multiple areas of local influence, including through financing projects, talking to prospective companies that visit, and its philanthropy. In 2013, First Niagara said it provided about $12 million in community grants and sponsorships in its territory, with much of it directed to the Buffalo area. “Any time we get a headquartered company, it’s good for the region, and we have fewer of them than I would like here,” she said. Investors will be watching closely to see if he and his team can follow through on that ambition.